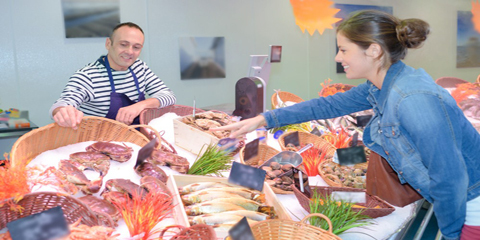 When shopping for seafood, it’s important to choose a reliable market as your source. A dedicated seafood market will always have the freshest fish and shellfish available, as well as a customer service team who will help you find the best catch of the day. When shoppers in Bon Secour, AL, want to be sure they’re getting fresh seafood for the best price, they count on Billy’s Seafood. This locally owned and operated market has been providing delicious fish and shellfish for over 40 years. Below, the experts at Billy’s Seafood share three reasons why shopping at a reputable seafood market is the only way to go. Seasonal Choices: A good seafood market will carry the best seasonal fish available. Your fishmonger should be able to tell you what is most abundant throughout the year. If the fish you had in mind is unavailable, a reputable market will offer comparable options that are better quality during that season. Sustainability: Buying sustainable fish is important. Not only does it help maintain the ecosystem of our planet, but it’s also better for our health to consume fish that were raised and caught in a chemical-free environment. Look for a seafood market only carries products that adhere to these standards. Proper Storage: Proper storage and handling are critical for optimal freshness, flavor, and quality. Make sure you know when the fish arrived at the market and how it was handled. Was it frozen or is it fresh? A quality market will remove products that have exceeded their shelf-life. The best way to find a seafood market you can trust is to do your research. Talk to friends and family as well as other food experts such as farmer’s market managers and local restaurants about where they find their favorite fresh seafood. Visit a few places and ask questions about where they source their fish and how they store their inventory. When you find a market you trust, you know you’ll always get the best seafood available. Bon Secour trusts Billy’s Seafood as their favorite seafood market. From shrimp to crab to crawfish, the market guarantees fresh fish and shellfish at great prices. To find out the catch of the day, call (251) 949-6288 or visit their website for more information.